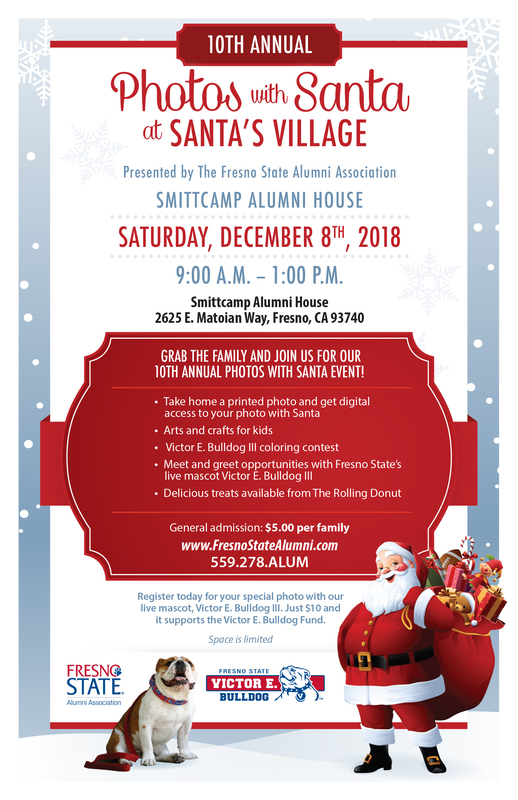 Grab the family and join the Fresno State Alumni Association for its 10th annual Photos with Santa at Santa's Village event! 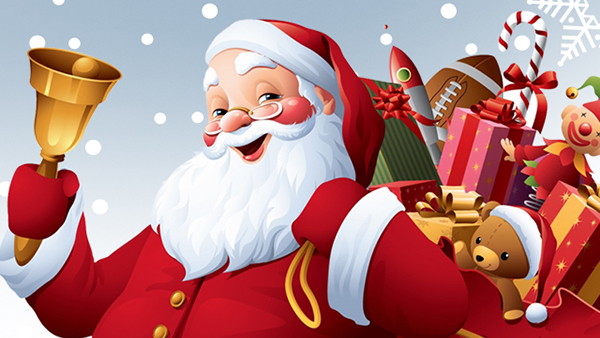 Take home a printed photo and get digital access to your photo with Santa. There will be arts and crafts for kids, a Victor E. Bulldog III coloring contest, meet and greet with Victor E. and treats available from The Rolling Donut. General admission is $5 per family. Register today for your special $10 photo with Victor E. to help support the Victor E. Bulldog Fund. Space is limited. Click here to register.